3. Thank you, That'll Do !!! I sure hope that the D-Regulators haven been waiting breathless for a review of their cd on "Het Belgisch Pop & Rock Archief", 'cause otherwise I'll probably will have to look for them at the graveyard of Antwerp or Brussels. After listening to it two times, my cd dissapeared without leaving a trace, and only with the help of a coördinated police action, a zero-tolerance policy towards all kinds of junk in my music room and a parlementary hearing, the little disc reappeared. Too bad for the D-Regulators that the content of "D-Day" had not been getting better while sinking in these few months. The band that used to be called Regulators play the blues : jump blues, boogie, talkin blues, smooth blues .... Daarmee That says perhaps not all, but certainly a whole lot about this cd. The compositions are ok, the rhythm section sets a nice pace for things ... but it doesn't work out on the twelve tracks of "D-Day". Despite a bunch of horns that enliven the place, the end result is dull, lackluster and almost without drive. Not a lot of foot-tapping, and quite a lot of craming toes, that's all these 53 minutes did for me. The main stumbling block to get us going with them is the vocal performance of Dr. Boogie. Guess he stepped out of bed on the wrong foot during the taping, or something like that. Or stranded among the wrong song-material ? Only in "Everybody's Cryin' Mercy" (a Mose Allison-cover) he gets it right : he reveals there that he probably could better concentrate on Blue-Blot-ish crooning material. The best songs on the album or for me "Ready when You Are" (at last a bit of drive), "Thank You, That'll Do !!!" (swinging blues big band), "Your Place Or Mine?" and the aforementionned "Everybody's Cryin' Mercy" (a resting point on the cd). In the meantime I have seen the D-Regulators performing on a stage once, and I must confess that their set sure manages to raise the temperature a few degrees, but that's feeling they haven't been able to put on this cd. Have mercy ! - Mn in Roots Town Music "The thing that strikes me most is the voice of Dr. Boogie, that bears so much resemblance to that of Charles Baty, I would like to compare this entire group to his ensemblre. 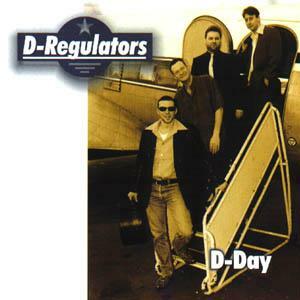 .... With this cd D-Regulators prove that they still stand strong after a few setbacks." - Franky Bruyneel in Back To The Roots "In search of an identity of their own, they have made quie some progress since the beginning. On this new cd they perform almost nothing but work of their own. A positive thing is that they are not too keen on rock but compile their music a bit more versatile". - Patrick Dallongeville in Bluesborder (FR) "Another new big group from this little country that needs to be reckoned with. If this goes on, the Americans will be organizing festivals with Belgian blues in the States soon. The mastering of their instruments is flawless (a special award goes to the rhythm-section), genuine composing talent ... "
- GD'H in Rif-Raf : "I still have some doubts about the singing and phrasing of Dr. Boogie (is that name really necessary? ), but the beautiful acoustic closing track of this varied and easy-listenigng cd, pushes the needle to the plus-side without a problem." - Stage "From raw blues-tracks to greasy r&b-songs, to swinging rockabilly with big band-stature : nothins is too much for D-regulators. Effortlessly they play about an hour with 10 self-written songs and two covers. 'Repeat all'!" You can order this CD from a number of locations (prices researched on October 11th, 1999, but nothing guarantees they still are the same when you read this).